The next stop in Frank’s clerkship brought him to the U.S. Supreme Court clerking from 1953-1954 for Justice Felix Frankfurter (at a slight pay raise of $6000/year). Frank never met Justice Frankfurter before being hired. Justice Frankfurter entrusted decisions on his clerks to Professor Henry Hart who each year would select the best two Harvard Law School students. Frank’s co-clerk was Jim Vorenberg, who later became a fellow professor at HLS and then went on to be Dean of HLS. Each morning Frank picked up Justice Frankfurter – these were clearly days of lower security – and drove him to the Supreme Court and drove him home each night. Years later when Frank took his family to visit Justice Frankfurter he easily navigated to the 3018 Dumbarton St location. Frank described his relationship with Frankfurter as “alternatively exasperating and exhilarating.” Frankfurter had no children and knew they both shared a love of classical music; Frankfurter would periodically call Frank late in the evening and say “I heard this concert by X, Y or Z. 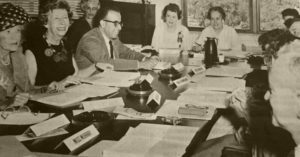 What do you think about this person?” Fellow clerks for Frankfurter in this time were Bill Coleman, Alex Bickel, Lou Henkin, and Elliot Richardson all of whom became lifelong friends. This was a powerful time to be a Supreme Court Clerk as Brown vs Brown of Education was decided during Frank’s clerkship. When Chief Justice Vinson (an opponent of integrating schools in the Brown case) had a heart attack before the Supreme Court ruled, liberal Justice Earl Warren succeeded him which Frank felt cleared the way for the landmark decision. To hear Frank describe these amazing times we recommend listening to his 2004 interview on what it was like to serve in the U.S. Supreme Court in these times and to serve as a law clerk to Felix Frankfurter. In DC Frank shared an apartment with his sister Dora in Mt. Ranier, Maryland. 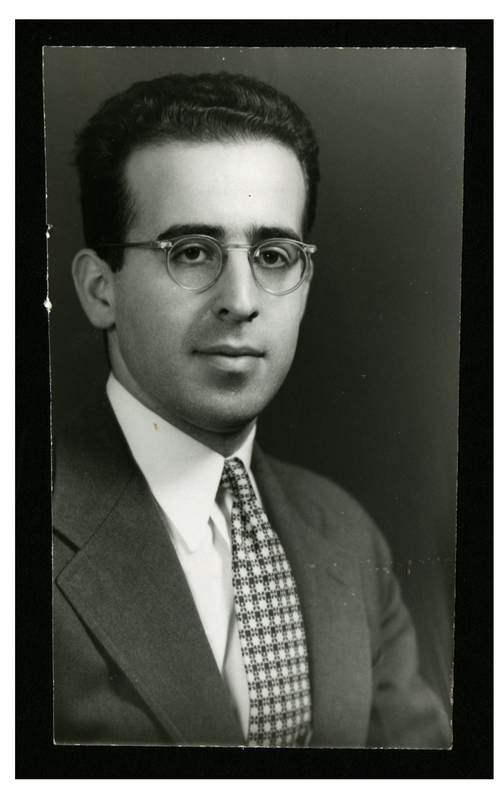 After clerking for Justice Frankfurter, Frank applied to work in the Tax Division of the U.S. Justice Department. While waiting for clearance to work in the U.S. government, Frank worked for Saul Wallen a well-known labor arbitrator in Boston working to resolve grievances under collective bargaining agreements between unions and companies. 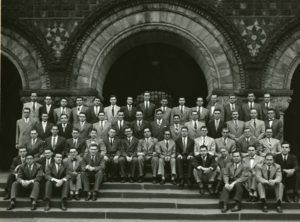 In 1954 Frank got his next teaching experience in Salzburg, Austria working as faculty assistant for the Salzburg Seminar for the second law program ever offered there. Later that year, Frank’s clearance came through and he became an attorney in the Tax Division of the U.S. Department of Justice for sixteen months from 1954-1955 arguing cases in various Courts of Appeals around the nation. In December 1955 Frank took on one of his least favorite jobs. He served as a top Congressional aide to Senator Matthew Neely from West Virginia (D-WV). It was a very prestigious position for a top Democratic Senator. The challenge for Frank who loves precise language, was that Senator Neely spoke in a very ‘floral’ Southern style and Frank was supposed to serve as his speech writer. Frank later said he was saved from this clear disaster by a serious illness. Frank struggled to put on his socks each morning since his ankles were so swollen. He went to his doctor and learned he had a very serious kidney illness known as nephrotic syndrome and was told he had less than a year to live. Frank went back to Boston, first to the Beth Israel Hospital and then to the VA Hospital in Jamaica Plain, where Dr. Howie Hiatt, who later become a very close family friend and Dean of the Harvard School of Public Health, knew about a cortisone experiment for nephrosis—known as Corticosteroid therapy. With Dr. Hiatt’s help Frank became one of the first patients to receive this treatment and proved its success. Frank recovered over the next eighteen months and from 1956-1959 worked at Hill & Barlow, one of Boston’s oldest law firms founded in 1895 and dissolved in 2002. Its illustrious employees included Robert Muller, former director of the FBI, and four individuals who went on to become Governors of Massachusetts (Endicott Peabody, Michael Dukakis, Willian Weld and Deval Patrick) among many other notables. At its peak, Hill & Barlow was the 12th largest firm in Boston with 145 lawyers but when Frank worked there it only had 17 lawyers. Frank worked on tax issues and also was asked to do some divorce work, litigation, copyright, and a few wills. 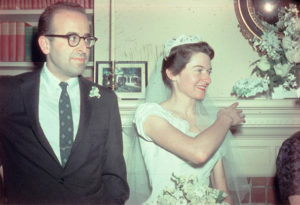 These were also years when Frank met his lovely and amazing wife Emily, got married, and had his first child Alison in 1959. For more on these important events see Passions Page. In 1959 Frank also served as a consultant to the U.S. Treasury Department on a Tax Mission to Colombia. Frank’s tax workshop was an early pioneer in a new methodology called the flipped classroom where students read the tax statutes at night and then in small groups worked through clever problems Frank had created. 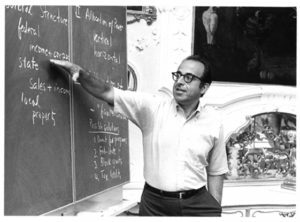 Later Frank shared a bit more on what it was like to be a new professor at HLS in the 1960s. These years, according to Frank, were a tough time. While at Harvard Law School as a young teacher Frank stayed very active and involved in the larger community. He was appointed a member of President Kennedy’s Commission on the Status of Women as part of a Committee on Civil and Political Rights with a goal of re-conceptualizing various issues of family law (1961-1962). In 1961 Frank’s older son Tom was born. In 1962 Frank received tenure as a law professor and was asked by Dean Griswold to add the emerging topic of family law and domestic relations (the law of “persons”) to his teaching portfolio. In 1965 Frank’s second son Ernest was born rounding out the family. In 1966 Frank became Director of the Special Summer Program at HLS, funded by the Rockefeller Foundation, which brought 40 African American college students to HLS to interest them in legal careers. That program continued at Harvard Law School in 1967 under Frank’s guidance and became a nationwide model known as the Council on Legal Education Opportunity (CLEO). This was the program that Reginald Lewis (who Headed Beatrice Foods and later endowed the Lewis International Law Library at HLS), Jim McPherson (who won a MacArthur genius award) and many other distinguished African Americans went on to attend. Frank’s “selected guide to good eats” arose out of his experience with CLEO students and visiting faculty and wanting to be sure to connect them to good and reasonably priced local meals. In 1968-70 Frank was the founding chair for CLEO, the national organization devoted to the recruitment and training of minorities or low income individuals for the law. At its 50th gala anniversary CLEO announced that more than 10,000 CLEO minority and low-income students have now been supported and found a place in the law. It is interesting that Frank who had once faced quotas that might have kept him out of Harvard now saw a role opening those gates to other excluded classes of students. For his first sabbatical Frank spent the summer with his family in California and taught at UCLA Law School. In 1968 Frank started one of the first courses in the country on Welfare Law. Later in 1969 Frank was asked to serve as a Trustee and later as head of the Trustees for Buckingham, Browne & Nichols School through 1975. From 1970-1973 Frank was appointed by Massachusetts’ Governor Frank Sargent to chair the Massachusetts Commission on Adoption and Foster Care. From 1975-1979 Governor Dukakis appointed Frank to be Chair of the Mass State Welfare Advisory Board. The Commission was charged with improving the lives of powerless children in the legal process, and Frank insisted on drafting legislation in words that lay people could understand and apply, and helped usher in laws to free abandoned children for adoption, provide funding to enable foster parents to adopt children who needed costly operations or other costly care, and created a state Office for Children to coordinate children’s services. In 1979, Frank along with several colleagues co-founded the Harvard Negotiation Project at Harvard Law School which in 1983 was renamed the Program on Negotiation (PON). PON today is a university consortium dedicated to developing the theory and practice of negotiation and dispute resolution. PON includes faculty, students, and staff from Harvard University, Massachusetts Institute of Technology and Tufts University. The Program on Negotiation publishes the quarterly Negotiation Journal and the monthly Negotiation Briefings newsletter, and distributes the annual Harvard Negotiation Law Review. Throughout the year PON offers a number of courses and training opportunities ranging in length from one day to an entire semester. Since the beginning, the Program on Negotiation has been multi-disciplinary, with scholars from economics, government, law, business, psychology, anthropology, education, and the arts. Faculty have focused on a wide range of research topics, including deal-making, diplomatic negotiations, international negotiations, psychological aspects of negotiations, decision-making, issues relating to ethics and trust, and labor negotiations. In 1970 Frank authored “Readings in Federal Taxation” (revised in 1983 with David Westfall) and in 1971 Frank was asked to serve as faculty chair of the law session with the Salzburg Seminar. On a trip to Europe Frank and his family stopped in Germany to see his family home still standing and to check out the amazing cuisines and music of many European countries. In 1985 Frank co-authored with Hank Gutman Tax Aspects of Divorce and Separation (1st, 2nd, 3rd, and 4th edition) and later that same year he co-authored with Profs Eric Green and Stephen Goldberg, Dispute Resolution published by Little Brown. The book won an award from the Center for Public Resources in 1985. A new edition was published in 1992 co-authored by Sander, Goldberg and Rogers, now in its 4th edition (2003). From 1980-1986 Frank was appointed to the HLS Administrative Board which is a group of 3 faculty, 3 students and 2 administrators that handle all HLS disciplinary and rule dispensation cases. From 1987-2000 Frank was asked to serve as Associate Dean at HLS. Frank went on to serve as Associate Dean of HLS for 13 years and through 2 Deans–the longest time anyone had been asked to serve in this role. In 1989 Frank was asked to serve as Chair of the Committee on Educational Planning to create a report that laid the basis for a $175 Million Capital Campaign at HLS from 1989-1994. Through his career Frank also managed to cultivate many passions and to advance the field of Alternative Dispute Resolution (ADR). Click here if you would like more detail on the ADR component of Frank’s career.